When it comes to the US Black Metal movement, few individual musicians have made as much of a splash as Neill Jameson. He released his first demo tape as Imperial in 1995—just a year after Mayhem’s De Mysteriis Dom Sathanas. In the nearly twenty years since, Jameson has produced raw and honest “bedroom” black metal as the sole member of Krieg. Many consider his 2004 LP The Black House to be essential USBM listening. There will be a new Krieg album this year on Candlelight, but first Jameson needs to live through the press cycle for the third Twilight album, III: Beneath Trident’s Tomb. Jameson had his hands full recording III, dealing with a rotating cast of characters. 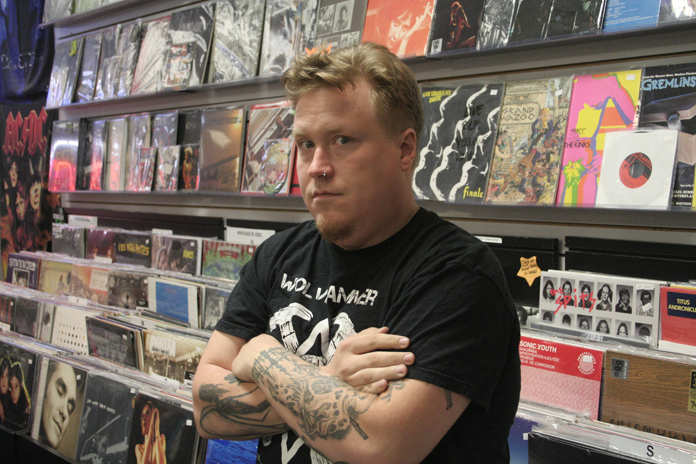 Twilight has been blighted by negative media attention since the arrest of founding member Blake Judd (also of Nachtmystium). Judd is now out of the band, but Thurston Moore of esteemed noise-punk outfit Sonic Youth is in. Alongside them stands super-producer Sanford Parker, as well as Stavros Giannopoulos of The Atlas Moth and Wrest of Leviathan. These five musicians are giving Twilight the swansong the project deserves.